You work in high growth and highly specialized applications, fields and trades. That makes two of us. Every one of the executive recruiters in our Search Firm has direct experience in his or her practice area, if not advanced working knowledge of it, and is committed to helping these applications of industry grow. Select your industry below to learn more about how our Executive Search Firm can help you develop successful hiring strategies. 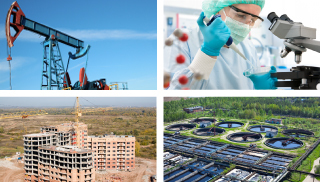 Environmental engineering firms need professionals capable of blending scientific innovations with practical application on a commercial scale. Our executive search team has skills and knowledge to deliver them. Our Executive Recruiters deliver innovative professionals capable of implementing and producing quickly and prolifically for hundreds of IT enterprises across the US.